The first of the new village gateway signs has been erected. It is to the West side of the village which previously had no sign. We are delighted with it and think it gives the village a proud announcement which is fitting and appropriate. 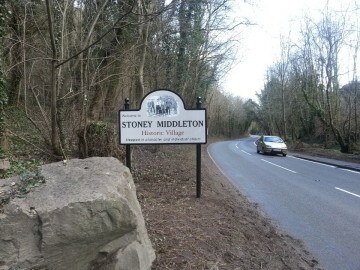 The sign will be further enhanced by limestone chippings which are to be provided by BFL at Cavendish Mill. It would be further enhanced with a few plants and flowers planted around the stones, if anyone has anything please let us know.